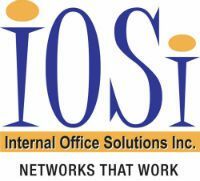 IOSi offers a broad range of IT consultation and advisory services. Empower your business by leveraging our unique interdisciplinary team of certified technology experts. IOSi provides a one-stop approach to IT services; allowing you to run your business while we worry about your ‘behind-the-scenes’ systems. From project management to auditing and best practice analysis, IOSi will see your project to completion in a prompt and personalized manner.